You might think this is just some gimmick. But it's more than that. Much more. The Spider-Man outfits are a reminder these two men are risking their lives. Not just because Spider-Man is rad. The two work on Taihang mountain in Henan province, keeping it nice and clean. The two brave men have the difficult job of climbing on the side of 500-foot cliffs to pick up trash. The Spider-Man sanitation workers have become popular with tourists. But, this isn't just to delight visitors. 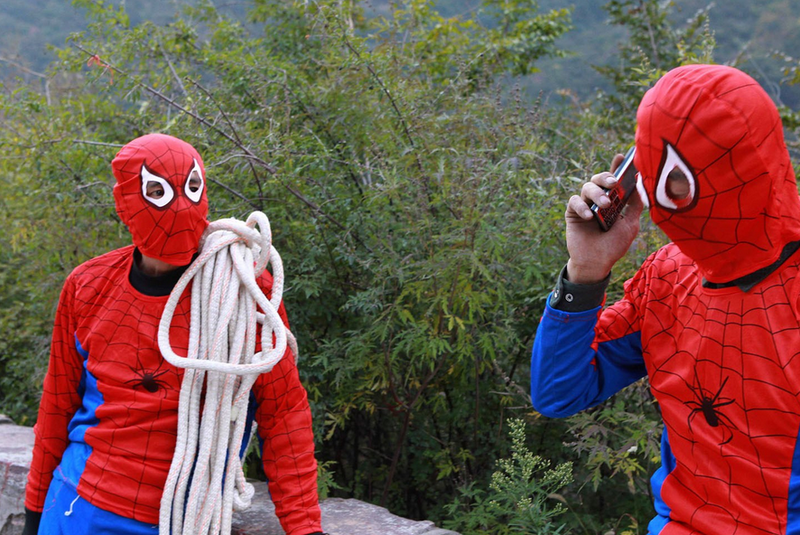 According to bureau that heads up the mountain's environmental protection, the Spider-Man outfits were designed to make the workers' dangerous job more visible, and thus, serve as a reminder not to litter. When visitors do, that means that Liu and Zhang must risk their lives to collect the rubbish. Because with garbage, comes lots of climbing.